Certina has revived one of its historical diver’s models from the 1960s and 70s for 2018. The new DS PH200M has a classic look combing all the accoutrements of a vintage divers watch with those of a modern diver. 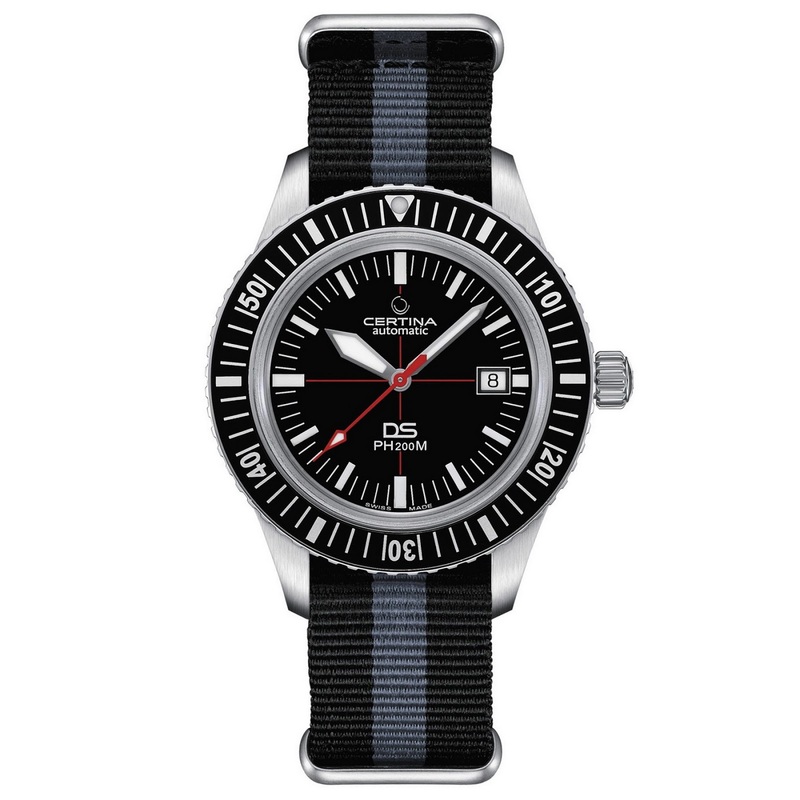 Its Stainless steel case has a diameter of 42.8mm and is fitted with a black unidirectional diver’s bezel. It surrounds a black dial dived into four quadrants by a red cross which is further punctuated by a striking red seconds hand. Its hands and hour markers are coated with SuperLumiNova. 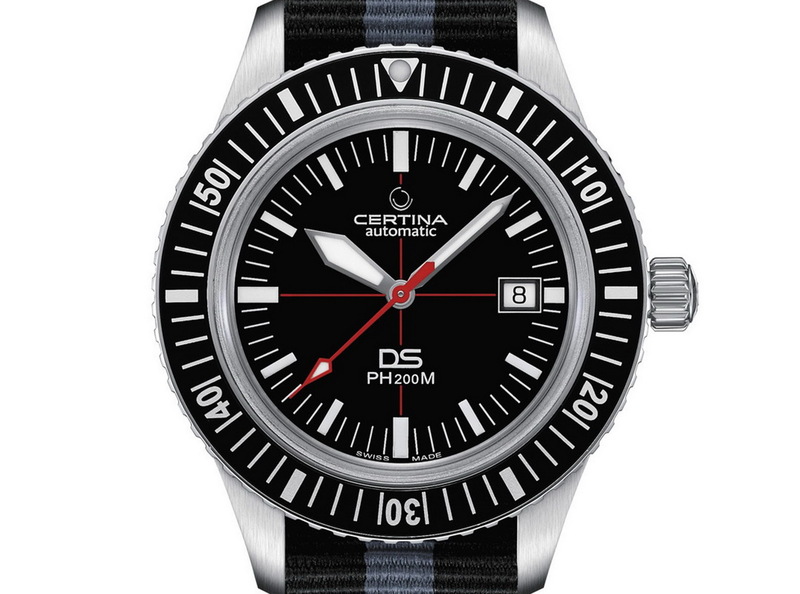 Unlike most modern Certina dive watches, the PH200M has a rounded Hesalite box glass with anti-reflective coating on one side and a scratch-resistant NEX Scratchguard coating along on the other – which along with a separate mounting ring ensure double security and water-resistance up to 200 meters. On the backside of the PH200M, we are greeted with Certina's brand symbol a cute little turtle. 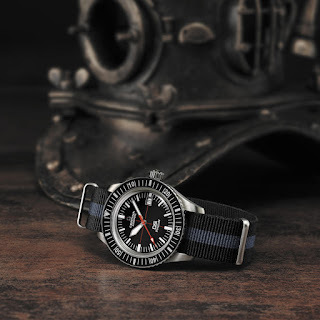 Beating away beneath the cute sea creature is a Certina Powermatic 80 movement with an impressive power-reserve of 80-hours. 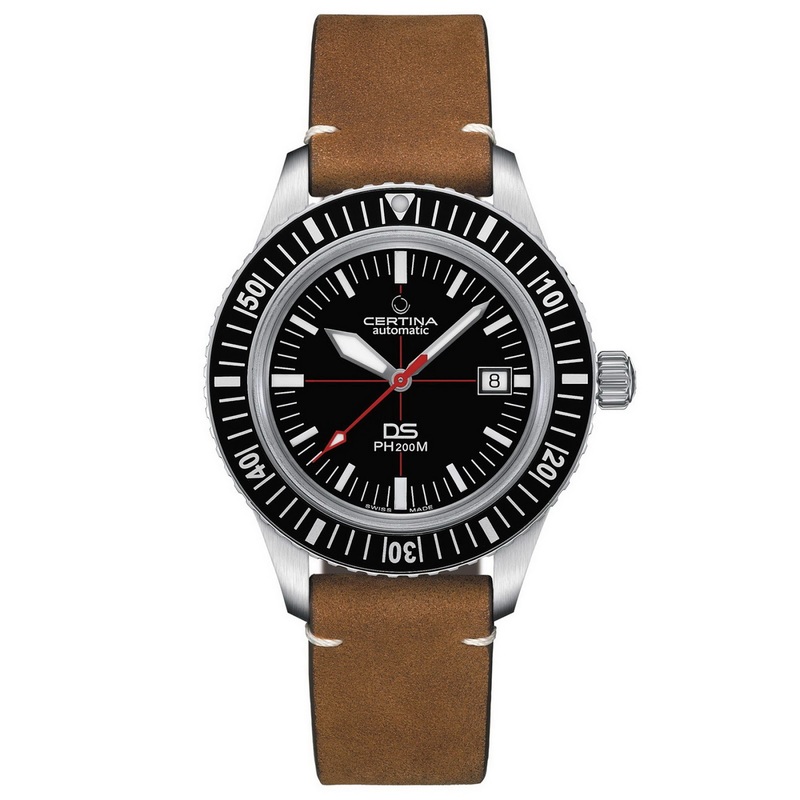 Finally the watch comes on either a black and grey striped NATO strap with a pin buckle or a brown calfskin leather strap. 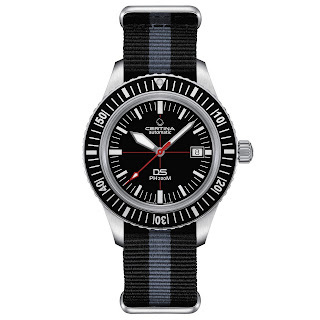 It has a Swiss MSRP of 695CHF.